Oh, Kira Plastinina, why did you have to shut all your US stores during a snow/rain/and briefly hail storm? I guess that made it a little more dramatic, yes? And sort of depressing yet funny, just like my favorite Russian books. 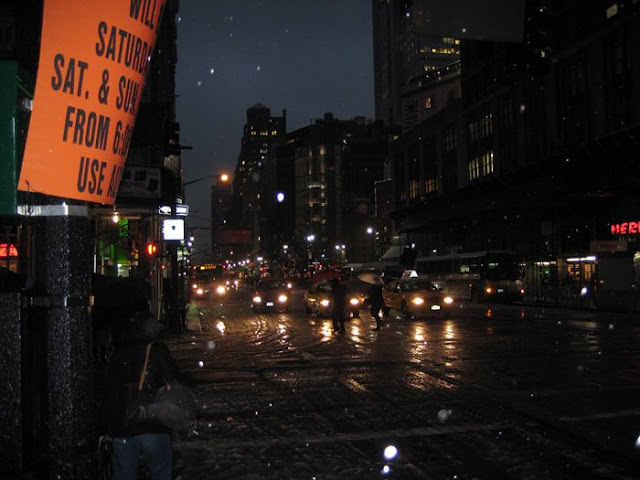 Walking down 6th Avenue yesterday toward 34th Street and the last hours of Kira Plastinina. 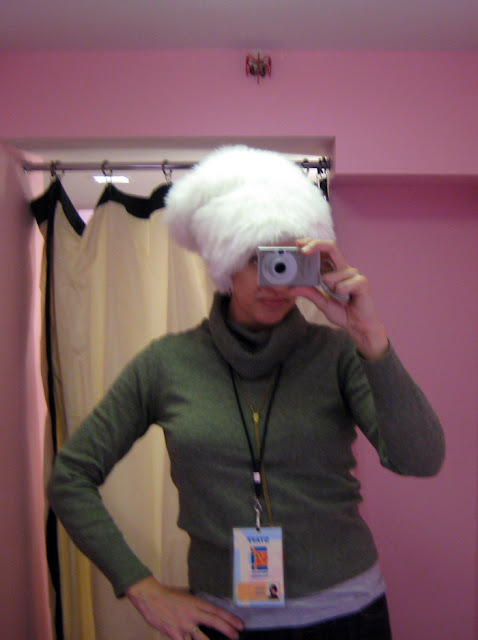 Big fluffy white hat, not very Lara/Dr. Zhivago on me. 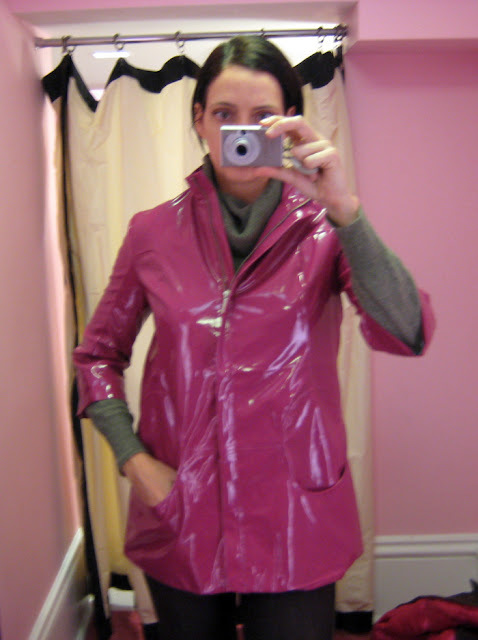 A pink slicker I would have bought if there was a large. And just like me in your clothes: a little depressing (I'll never be 16 again, praise all the lords), and yet funny (did I dress like this at 16? No, I looked much worse). Oh, Kira, I'm REALLY going to miss you. Kira Plastinina, closed yesterday at 6pm on 34th Street. Visit the website for 75% off. hail storm? I hope there wasn't too much damage. We don't need that on top of all that is going on, do we?! that hat is cool and the jacket. nice colour. Quick! Shred all the evidence! LOL. Cute jacket. Hope everything is now ok. Very Dramatic! They've closed all U.S. stores and left a lot of NYC companies high & dry. They have not even paid the contractors and builders for these new stores in the city and they just walked away from all the collectors! I just hope we get something new and fabulous in its place, empty stores in a recession are just too depressing. songy - I'm sort of exaggerating, but for a second it was very hail-like out there! wendy - right? I was wondering why the shredding, but it seems Natanya has shed some light on that, thanks Natanya! Kira's dad needs to pay up. allabout - go online, it's all ridiculous cheap! hopefully they'll use the $$ to pay some bills. Maybe the staff just wanted to just go home!